Google Home and Chromecast devices are reportedly killing peoples' Wi-Fi. The problem, first reported by Android Police, originally seemed localised to users of the Google Home Max speaker (unavailable in Australia) and the cheap, but usually excellent, TP-Link Archer C7 router. However since Android Police first reported the problem, it seems to have spread to other Google devices and TP-Link routers. The original problem was patched fairly quickly by TP-Link, and if you own the Archer C7 router you should go update it with this beta firmware. Then more complaints, unrelated to the Archer C7 router, or even specifically to the Google Home Max speaker, began to pop up on the Google Product forums. That's because, while the Archer C7 was particularly susceptible, the problem appears to be endemic to the whole line of Google Cast products. In a blog on the TP-Link website, a TP-Link engineer explains the issue. 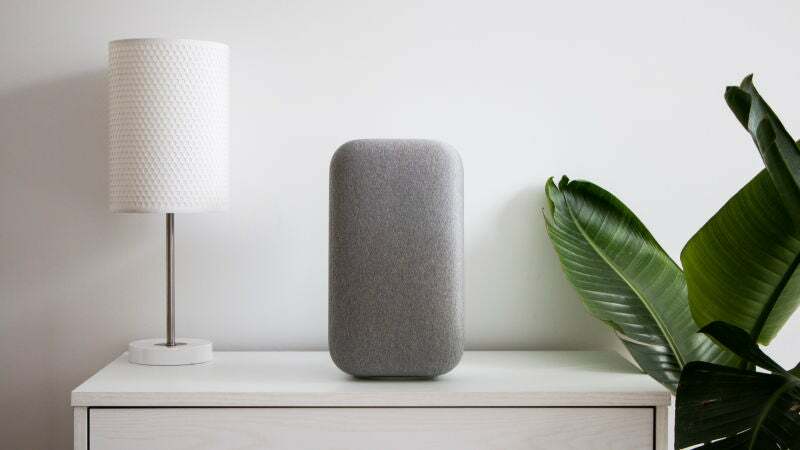 This issue stems from these devices' "Cast" feature, which sends MDNS multicast discovery packets in order to discover and keep a live connection with Google products such as Google Home. These packets normally sent in a 20-second interval. However, we have discovered that the devices will sometimes broadcast a large amount of these packets at a very high speed in a short amount of time. This occurs when the device is awakened from its "sleep" state, and could exceed more than 100,000 packets. The longer your device is in "sleep", the larger this packet burst will be. This issue may eventually cause some of router's primary features to shut down - including wireless connectivity. Essentially the Google devices are waking up from sleep and then sending way too much data at once to the routers, causing them to crash. Google has told 9to5Google that it is "working quickly to share a solution". However if you're finding your internet drops out anytime you interact with your Home or wake up your Chromecast, there are a few things you can do. The most obvious one is to check with your router manufacturer for any firmware or beta firmware updates and apply them. You can also reboot your router to clear the memory and reset it after a data siege. And, if you want a very simple solution, you can just unplug the offending Google device, at least until router makers and Google roll out an official fix. We reached out to Google ourselves for a longer-term solution but had not heard back at time of writing. I basically spent my entire Xmas holidays troubleshooting why some of my wifi devices were dropping their connection. I have 3 Google Home's & 3 Chromecasts & a Telstra Frontier FTTN modem. Finally last Friday narrowed it down to one of the original Chromecasts. Hope Google can push a solution through soon to their devices because if we have to wait for Telstra to do a firmware update on their Frontiers..... Well... you know.... could be waiting a while. Recently bought a Sony OLED TV with built in chromecast. I think this might be the reason why my ADSL modem reboots on almost a daily basis. It was rock solid stable before introducing the TV. And I had a separate chromecast device on the old TV with no issues.